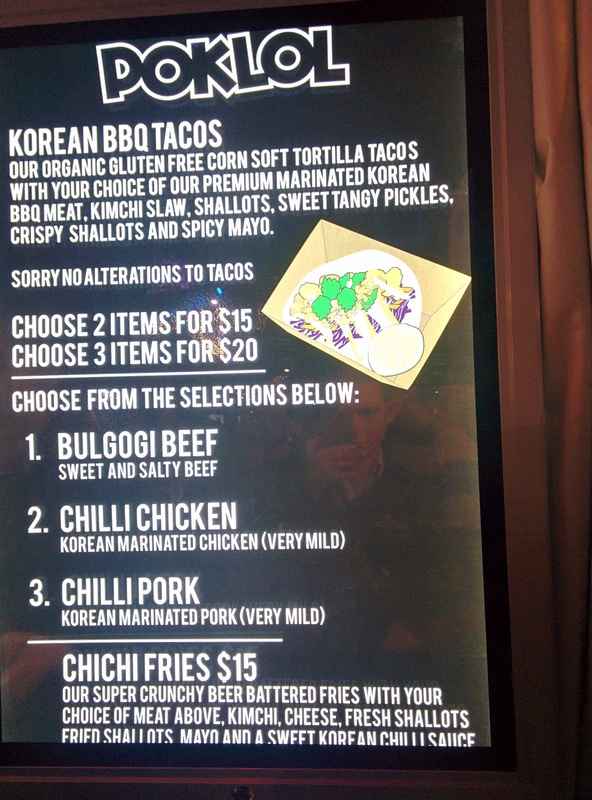 Interesting experiences in Korean food, combining kimchi into unexpected dishes! 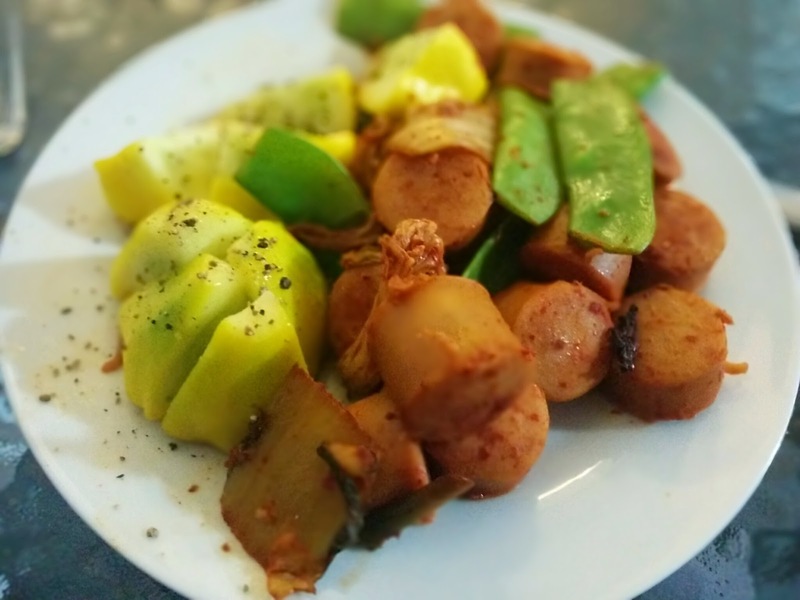 I like chorizo and kimchi so why not combine them into a simple stir-fry meal! Rice is nice! So why not make a fried rice dish? Then, peas are healthy so, about I add some peas too! First I get the rice cooking, since that will take 10 minutes for a cup of rice. I do mine in the microwave using the Sistema Microwave Rice Steamer. I find it quite easy to use - it has an inner lid to stop the starch from bubbling over. (Mind you, I've never tried it without the inner lid to know if it works - it hasn't bubbled over though.) It does come with that rice spoon pictured which is supposed to be easier than for rice scooping than a metal spoon. I used the first few minutes of rice cooking to prepare the frying pan, chopping up the chorizo, getting the peas and kimchi ready. After the rice is around 1/3 to 1/2 way through (So, around 5 minutes later), I added the peas, kimchi chorizo to the pan. Yes, I like peas. A lot! I start to stir-fry them all together on a medium heat for a few minutes. Since it's only the peas that really need cooking, feel free to take it off the burner if it's getting close before the rice is ready. Once the rice is done, pour it on and continue stir-frying it together. If you've taken it off before, mix it together with the other ingredients then put it back on the heat to help let the flavours mix through. You can some soy sauce to the mix or the kimchi "juice" as well if you want some extra kick. Serve it up and eat it! 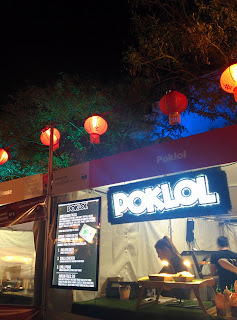 So, I went back to the Night Noodle Markets and got the Chichi Fries from Poklol like I wanted to. I got the chili chicken because it's apparently healthier than red meats, according to Michael Mosley's documentary. 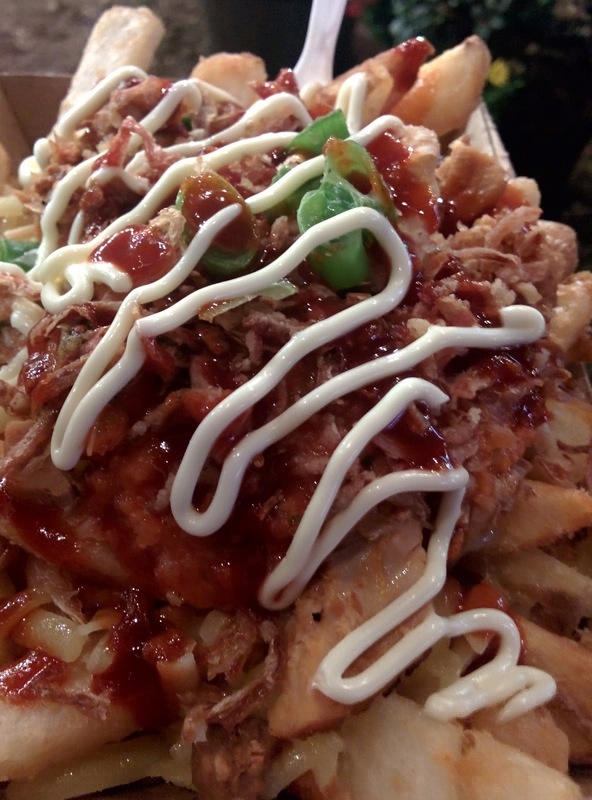 There's certainly a good amount of beer battered fries for $15. 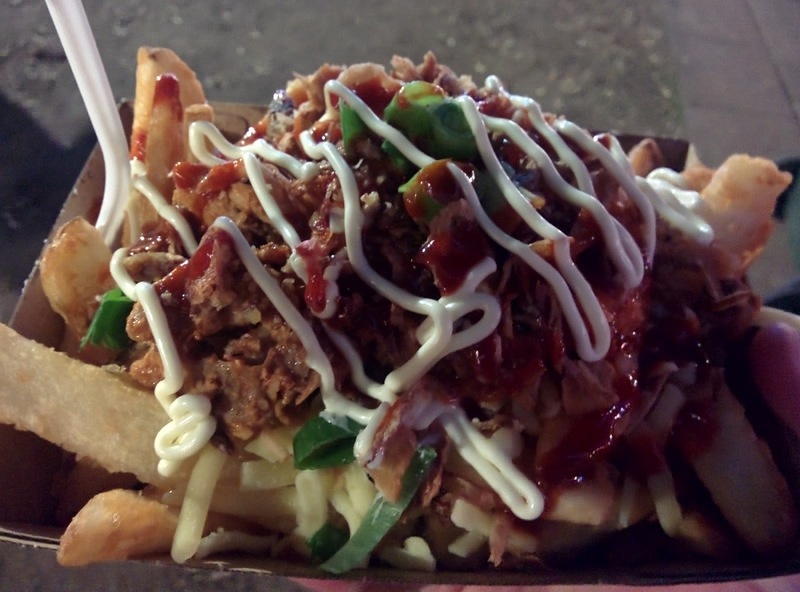 And for food truck food, it's well presented. 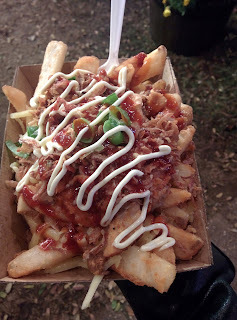 There was spring onion, Korean style chicken, grated cheese, mayonnaise, and some sort of amazing chili sauce. Somewhere I did end up finding some kimchi in there as well, but it was much less prominent than Korean inspired fries should have been. 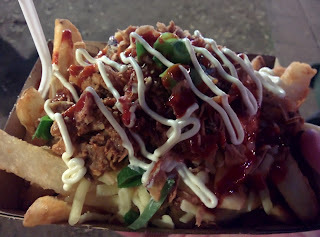 I think the highlight of the whole dish was the chili sauce they put on the chips. It had a refreshing amount of bite, yet also tasted sweet and crisp. Overall, I think I was more impressed with Korma Sliders' sweet potato fries from Eat Street Markets (who were also at the Night Noodle Markets). 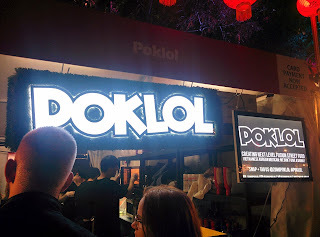 I think in Sydney they may have a different menu than the one they came to Brisbane with. And anyway, it was good, just I've had better. But that's fine, every place is different. Brisbane is currently having a Night Noodle Markets for a couple of weeks. It's a public market with various Asian food stalls (and some non-Asian places too), some music, and bars. 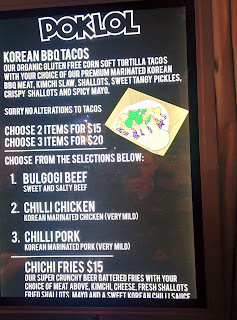 I got the Tacos - 3 for $20. I went to The Plough Inn one night with my sister and her friends. The Plough Inn is a famous pub located in the South Bank Parklands in Brisbane. It is one of the old buildings in Brisbane and likely one of the oldest pubs too (particularly that's still in operation). They serve more upmarket food than your average pub - still steaks and fish and pies, but fancy with interesting vegetables and pies in the little bowls! We both mutually decided on getting the same food - Twice Cooked Barbeque Pork Belly! 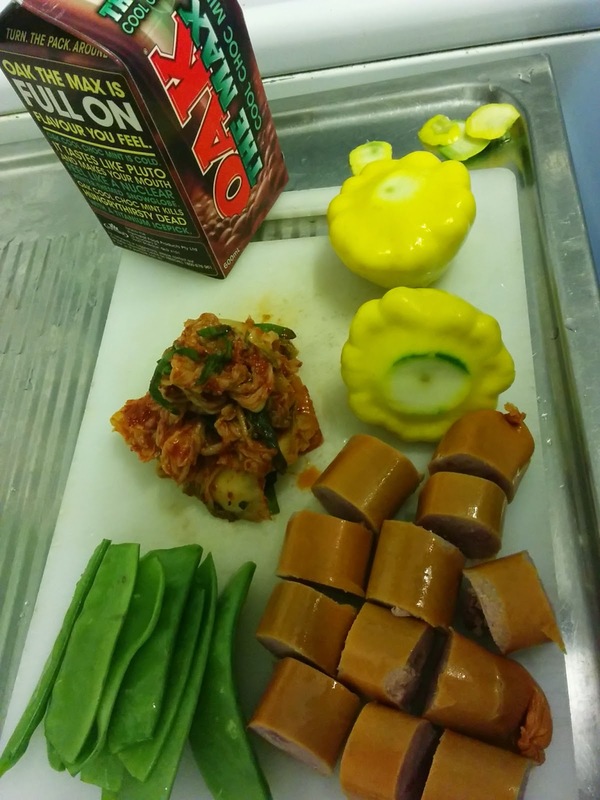 Kimchi Kabana Stirfry - Go figure! 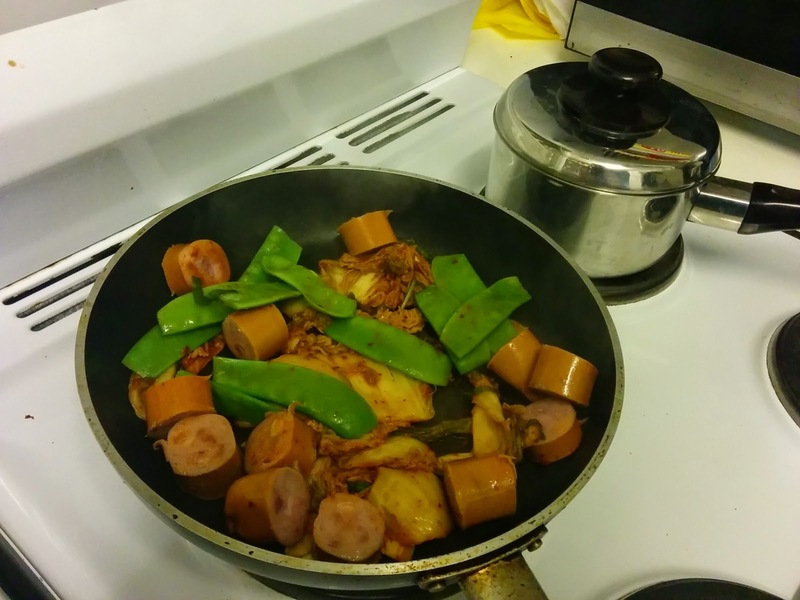 Last night, I used some of my favourite vegetables and a kabana to make a surprising dish! I put kimchi, snowpeas, and chopped up kabana in the fry pan and stirred it. (What, you think I was just going to let it sit there and burn?) I boiled the squash separately of course. The chocolate milk is a bonus review! It was mint flavoured chocolate milk. The mint was actually stronger than the chocolate - tasted like a liquid after dinner mint. I'd drink it again. I fry and boil the food appropriately, then finally I can plate it! I put butter and black pepper on the squash which became most fascinating when it mixed with the kimchi! The kimchi with butter and black pepper was wonderful! It took on a whole new rich and "homely" flavour. The black pepper complimented the red pepper (chili) in the kimchi, while the butter I guess mellowed out the spicy kimchi slightly. The kimchi juice gave the kabana pieces a nice spicy flavour. Another quick post. 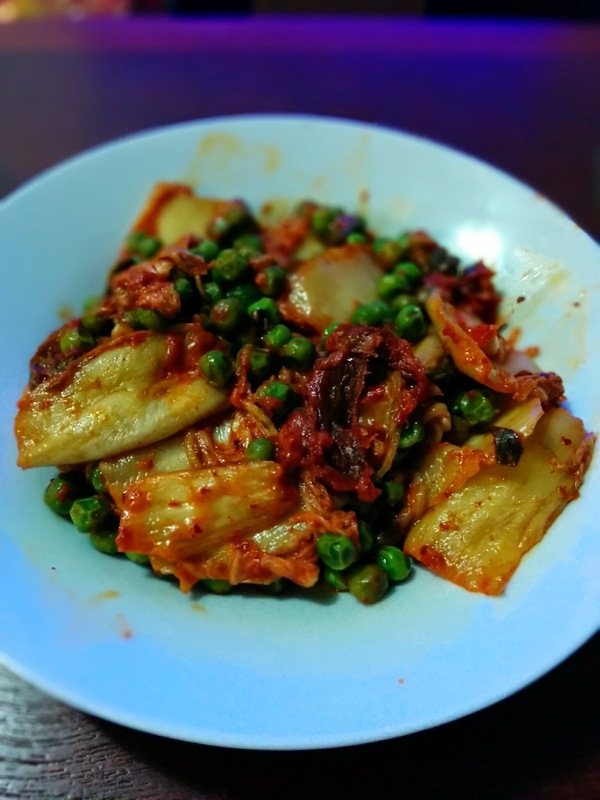 I simply fried kimchi and green peas in the pan, and mixed in two slices of cheese. I could have gone for another piece of cheese I think, though any more than that would have been too rich. I'd like to add some more chili spice though next time. More Lotte confectionery based deserts! In the hot weather, I had some ice cream for lunch. (And probably something else too, at least semi healthy.) Finding a lone 몽쉘 (Mong Shell) in the fridge, I decided to shave it over ice cream. Using a grater would be normal and not Korean enough, so I use the kitchen scissors to slice off chunks around the edges, constantly getting the biscuit smaller off course. 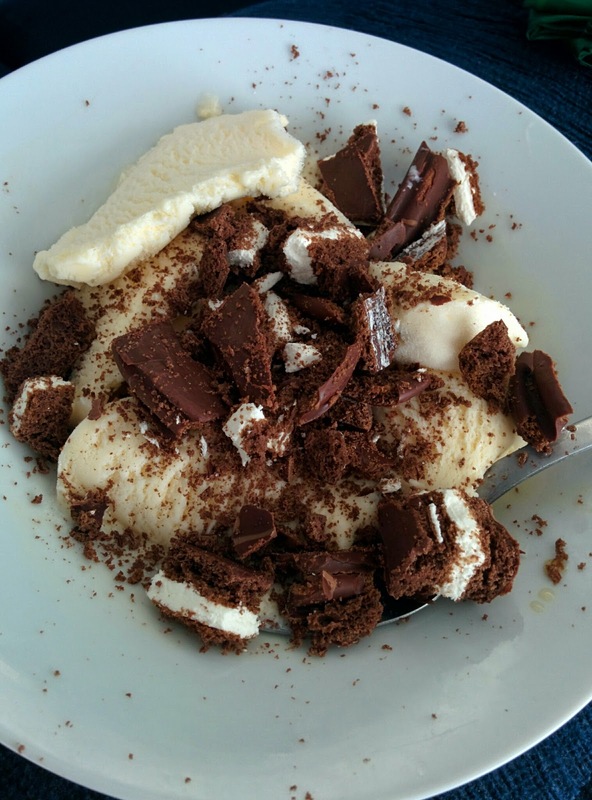 It was nice, since the ice cream was soft, while the confectionery was crunchy, providing a bit of contrast and excitement.